I don’t shop at Zara that often… but I’m so glad I popped in a few weeks back, because I found two AMAZING pieces that look way more expensive than they are. If you saw my fall 2017 trend video on YouTube over the weekend, you may have seen this cute little trench jacket? It’s one of those items. Y’all know how much I love a good trench, so when I saw this one I knew I had to try it on. All of the trenches I have are longer, so I really liked how this was a shorter style I could wear for nearly any occasion. It’s pretty lightweight, so it’s great for this “in between” weather we have in Texas. 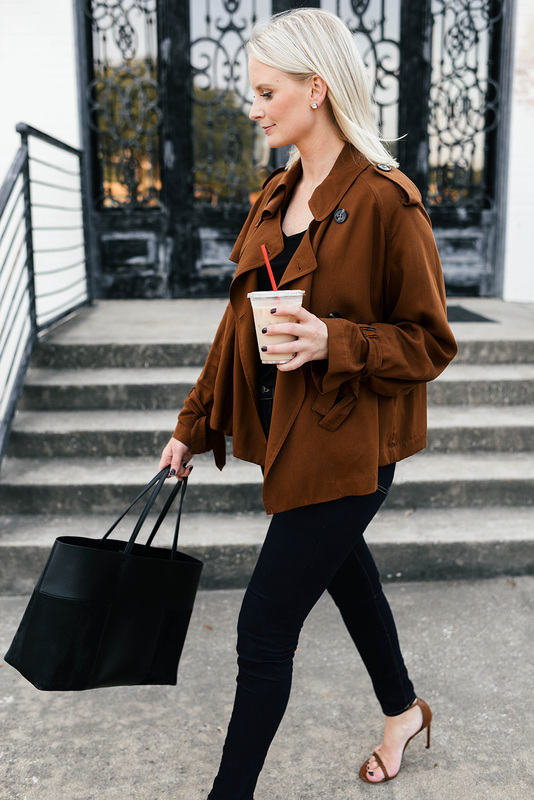 The slouchy, oversized fit of this jacket gives off an effortless, relaxed vibe that works with everything from dressing up jeans to dressing down cocktail dresses. It’s just one of those pieces I know I’m going to wear to death – it’s definitely my kind of wardrobe basic! 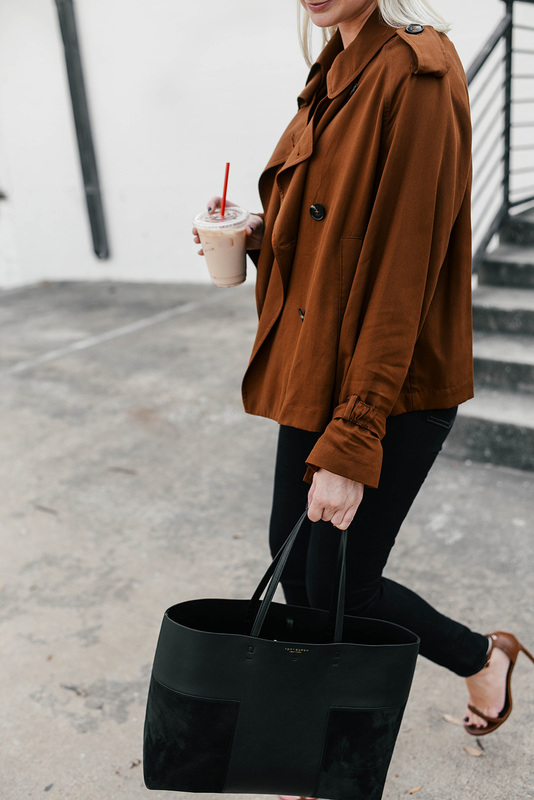 In the ideal shade of toffee brown, it looks just as awesome with black as it does white, cream, grey and all the other neutrals in my closet. It happens to match my new Chanel flats perfectly too, so that combo you will definitely be seeing soon. 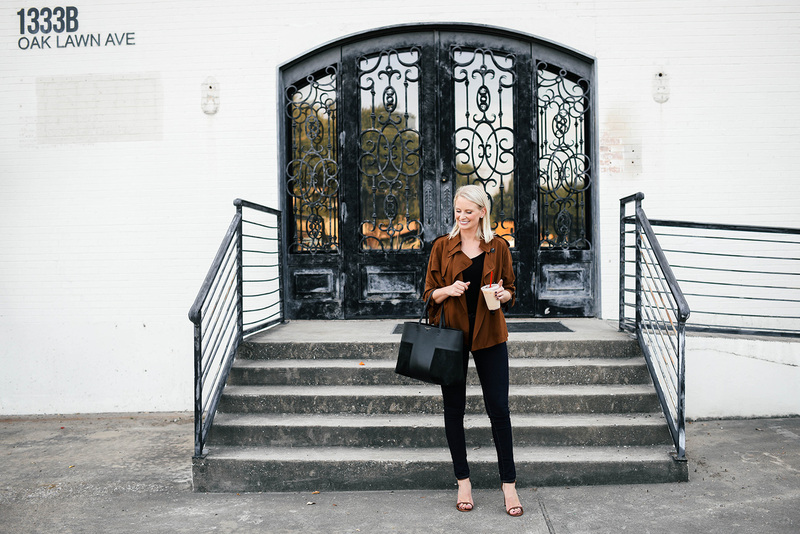 Speaking of shoes, I’ve been padding my fall wardrobe with a variety of pretty new styles that I can’t wait to share… in the meantime, here are some of my favorites (a couple I’ve purchased, most are just on my wish list) for you to check out! I just scored these pearl-embellished slides at Nordstrom and I am OBSESSED! So freaking chic. Love the black + gold update for the fall/winter season. These embellished velvet booties are what dreams are made of, am I right? One big shoe trend for fall/winter is that of brocade, and I’m lusting after this Manolo Blahnik pair. These embellished pumps are so freaking gorgeous. Love the color + flattering t-strap silhouette! I usually shy away from prints on shoes, but I loooooove these boots! These mink slides are the epitome of luxury. SO pretty. You guys know I’m loving mules this season, and this modern Prada pair is to die for! One pair of shoes I’m SUPER excited about is this IRO pair that arrived in the mail on Friday! 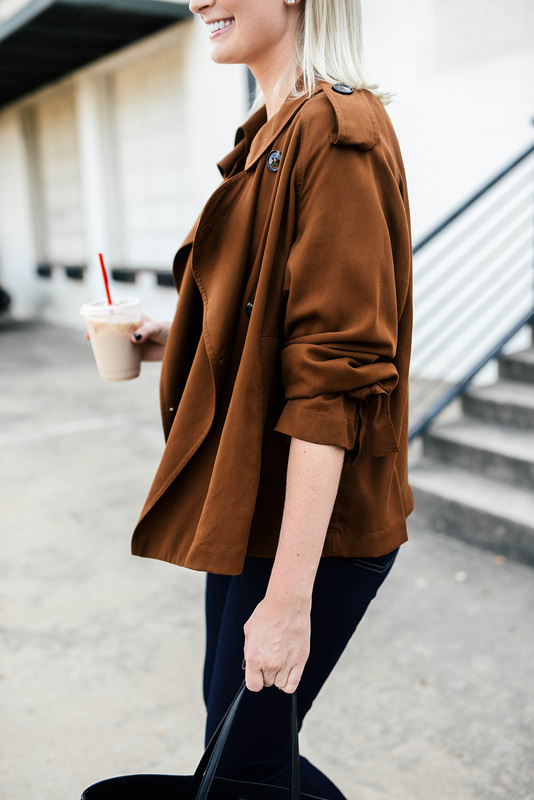 The ruffle is right up my alley and the color is such a gorgeous fall/winter neutral. This trench is everything, love the color. Loving the style and the color of this trench! Zara always has fun, trendy pieces that look surprisingly high-end. I have a black geometric tote from Zara that I receive so many compliments on and people can’t believe it’s from Zara! This Jacket is amazing! I love the color! Love this chic trench! That color is so pretty on you, and perfect for fall! Does the trench run TTS? It runs a little big! I bought a small!